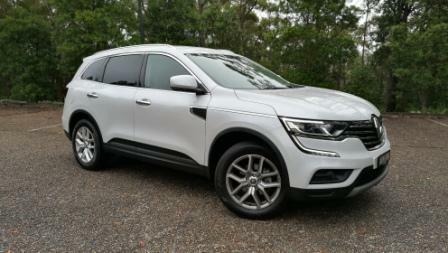 2017 Renault Koleos Zen & Intens: A Wheel Thing Car Review | | A Wheel Thing. 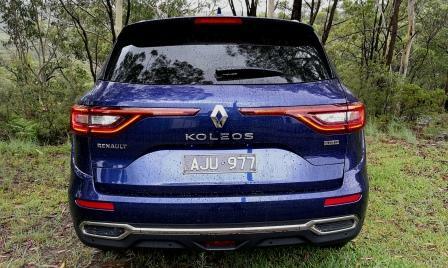 Renault’s 2017 Koleos has undergone a huge transformation compared to the model it supercedes. 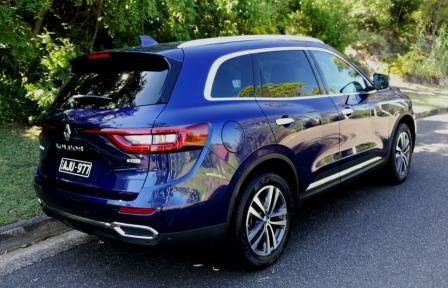 Based on Nissan’s X-Trail it’s bigger, brawnier, smarter and a whole lot prettier. 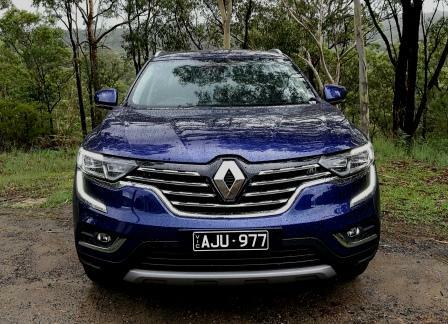 Built on a three model and four trim level range, being the Life 4×2, Zen 4×2 and 4×4, and Intens 4×4, A Wheel Thing backs up the mid spec Renault Koleos Zen 2WD against the top of the range Renault Koleos Intens All Wheel Drive. 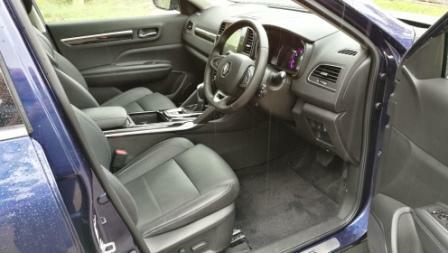 The heartbeat of the Koleos is a fuel injected 2.5L petrol engine. Yep, no diesel. And if you’re looking for a traditional manual or auto, fawgeddit. It’s a CVT and a somewhat seemingly slippery one at that. What you’ll get is 126 kW (6000 rpm) and 226 torques (4400 rpm), hauling a mass of between 1550 and 1700 kilos dry. 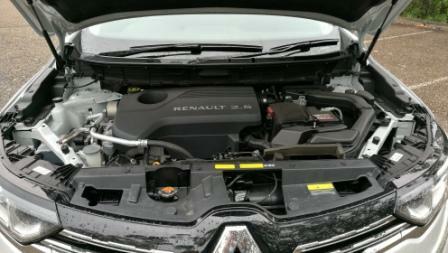 Renault quote a towing weight of 2000 kilos as well, along with an urban cycle consumption figure of the Euro5 compliant engine of 10.4 to 10.7 litres per one hundred klicks. That drops appreciably on the highway, down to 6.4 to 6.9. A Wheel Thing found 7.7L/100, admittedly on longer and free flowing suburban drives, from the 60 litre tank. 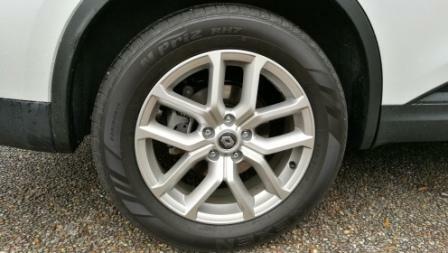 It’s around town that the CVT’s faults are, naturally, most apparent. They’re prone to feeling like an old school manual slipping clutch at the best of times but this one’s even slipperier. From a standstill it becomes a raucous and almost overbearing roar as the engine gets up to 4000 and then varies in note as the transmission’s built in steps kick in. 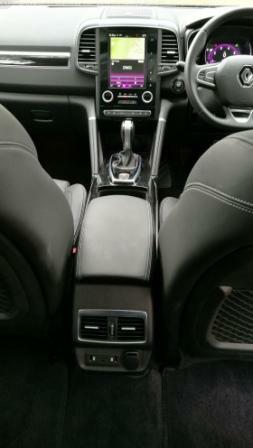 Note, too, there’s no paddle shifts to ease the pain although there is the mandatory sports shift on the geat selector. It genuinely feels that there’s a lack of gearbox traction when really pressing hard, however the Zen seemed more amenable to a lighter pedal pressure than the Intens, possibly due to the weight difference. What is also baffling and contradictory is the sensation of watching the speedo numbers change faster than the seat of the pants says they should. 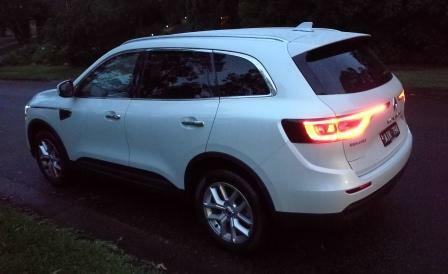 It’s a handsome car, the 2017 Koleos, and far prettier than the previous model. Where that was sharp and angular, the incumbent is fluid, rounded, smooth. 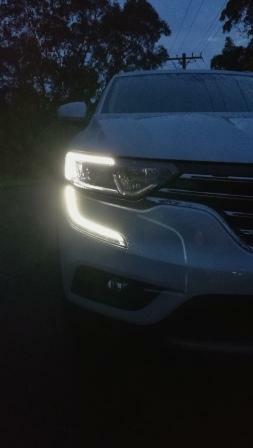 There’s LED tail lights and daytime running lights in a C shape, along with LED headlights for the Intens. In profile it’s well proportioned, with a pleasing balance from bonnet to tapered rear. the Intens gets a powered tailgate as well. 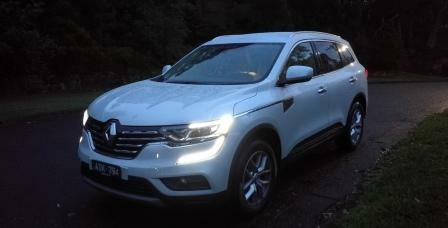 In fact, it’s a hard thing to find any angle of the Koleos that isn’t good to look at. The Intens gets a full length glass roof adding to the airiness of the feel of the interior. 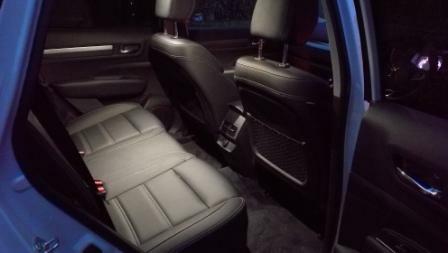 Consider a 4672 mm overall length and 2705 mm wheelbase, along with over 1400 mm shoulder room front and rear plus 290 mm knee room for rear seat passengers. 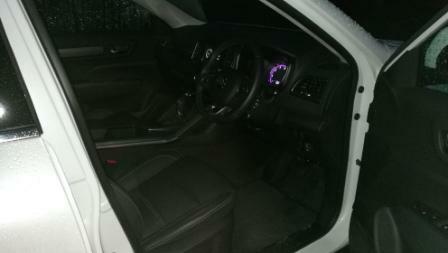 Both cars come with blacked out insides and vary in a couple of key areas. 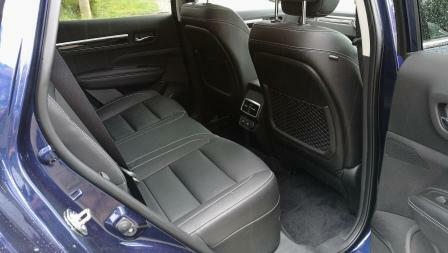 Renault, unlike far too many makers, include ventilation for the front seats, not just heating, inside the Intens. There’s mood lighting in the Intens, however both get changeable themes for the driver’s LCD screen and centre dash display, of which the Zen has a different look to the Intens to help differentiate. Both have a swag of controls built into the touchscreen, such as aircon, DAB radio, even Blind Spot Alert and Tyre Presure Monitoring. The overall look is classy, user friendly, but not without quirks. 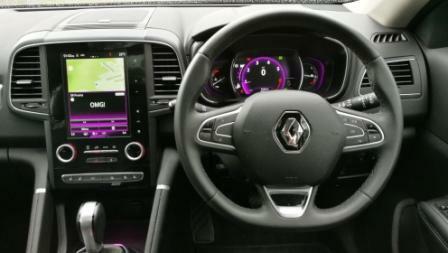 For example, Renault have located the Cruise Control buttons in the centre console and have a separate stalk for audio under the right side of the steering column. Although not exactly ergonomic to look at, once used a few times it becomes second nature to use. 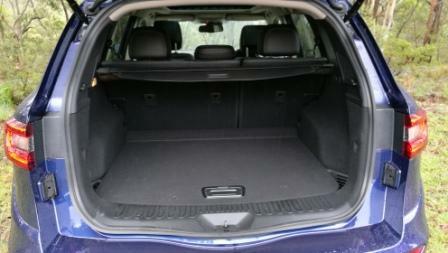 Both cars appeal with their looks, with a luxury feel that mirros more expensive luxury SUVs. 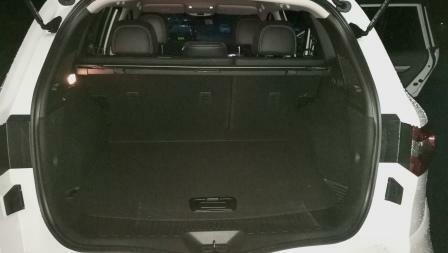 Cargo varies from 458 litres to 1690 litres with the seats folded and Renault have recognised the value of family by having two USB ports and an extra 12V socket under the rear aircon vents. Another winner for both is the ride quality. For a car of its size, it’s surprisingly well damped, taut enought to hold corners without roll and compliant enough to absorb most road irregularities. There’s even, oddly, enough oomph initially to chirp the front tyres in the Zen, backed up by a modicum of squeal when pushed in corners compared to the Intens. It’s a fluid and well balanced ride, with even the cursed speedbumps dialed out nicely, whilst hilly switchbacks saw the pair almost in sports mode, such was the grip and ride quality. Steering itself was well balanced, with good weight although not overly communicative in the Zen compared to the Intens, even though both should feel the same as both are fitted with the same 225/60/18 rubber. 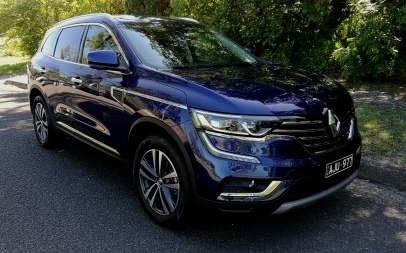 To further sweeten the deal, Renault offers as standard a five year warranty, five year roadside assist and three services at a capped price, with the range an attractive proposition by starting at $33990 driveaway. 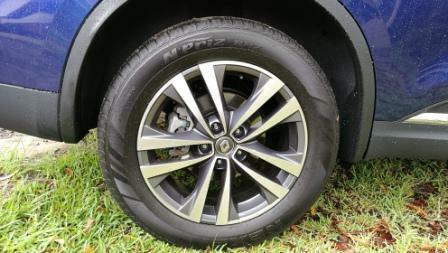 Be the first to comment on "2017 Renault Koleos Zen & Intens: A Wheel Thing Car Review"